A growing number of people now choose to follow a gluten-free diet, so we have a number of products available to meet this dietary need. Our range is all made by hand in the UK, by our lovely team of chocolatiers and we use only the finest Belgian chocolate. 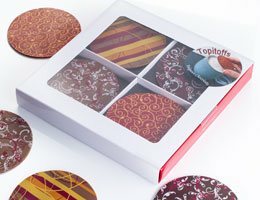 We like to be orginal and offer a unique chocolate gift with that little bit of something different. 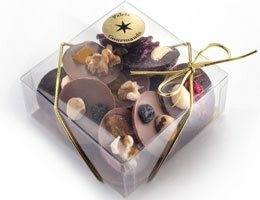 We are pleased to offer a range of chocolates that we believe are gluten-free, including chocolate pizzas as well as delectable chocolate treats and gifts. Whether you’re buying for yourself, or for someone else, you’re sure to find something to suit every taste and every budget. 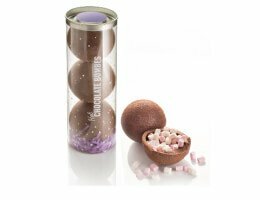 From spicy, chilli-infused, chocolates to creamy and indulgent white chocolate and raspberry to devilishly moreish dark chocolate creations; you really will be spoiled for choice. 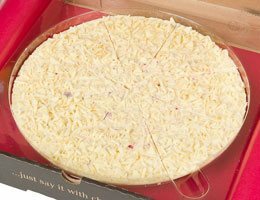 Our chocolate pizzas and gifts are ideal for coeliacs or any one that’s following a gluten-free diet. 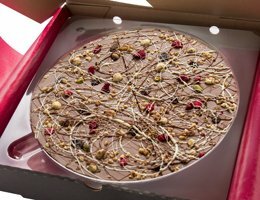 They’re packed with the same delicious ingredients and treats that you’ll find in our gourmet chocolate pizzas. Want to know what all the fuss is about? Our chocolate pizzas are made from a smooth Belgian chocolate base of either white, milk, or dark, chocolate coated in a huge variety of mouth-watering toppings to suit every taste. 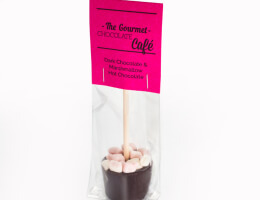 There’s zingy and fruity, indulgent double chocolate, and crunchy nutty options, too! 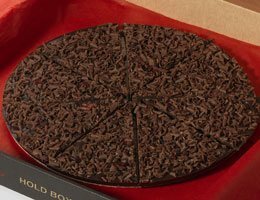 Our chocolate pizzas are pre-cut into convenient slices making them easy to share (or to keep all for yourself!) making them the ideal gift or treat.